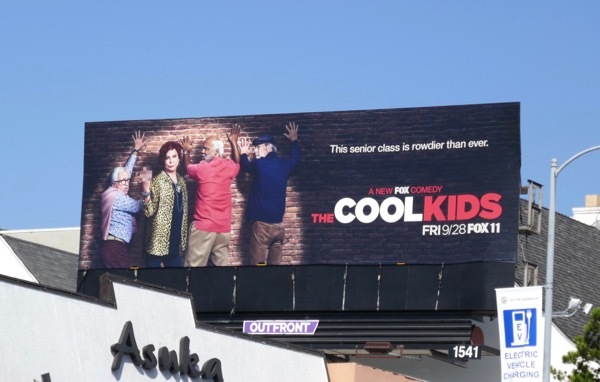 Sitcoms like The Golden Girls and Grace and Frankie prove that you're never too old to live your life and have fun, so let's hope Fox's rowdy new comedy The Cool Kids can supply the same kind of laughs. 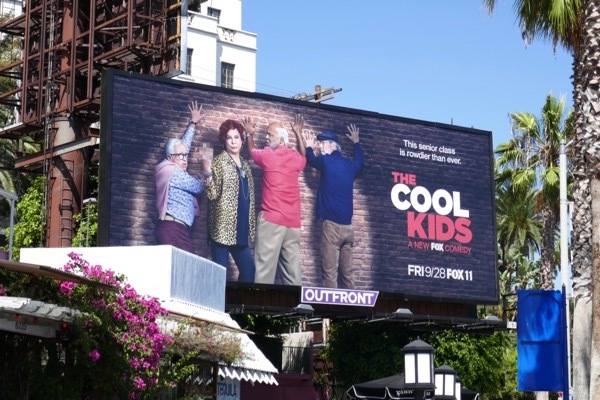 Vicki Lawrence is the new addition at a retirement community who shakes up the status quo of the other residents, including Leslie Jordan, David Alan Grier and Martin Mull, proving they're not dead yet. 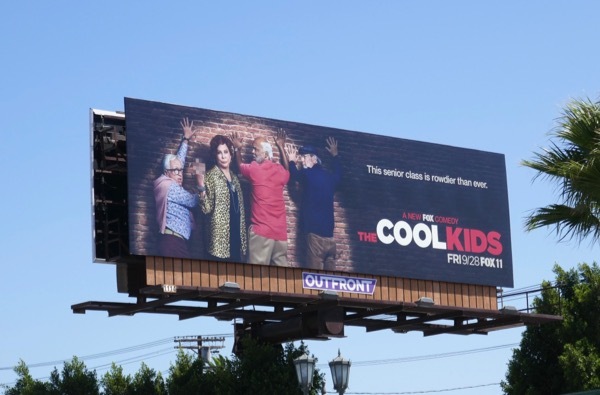 These series premiere billboards for The Cool Kids were spotted along the Sunset Strip, Pico Boulevard and Westwood Boulevard from August 4 to September 8, 2018. 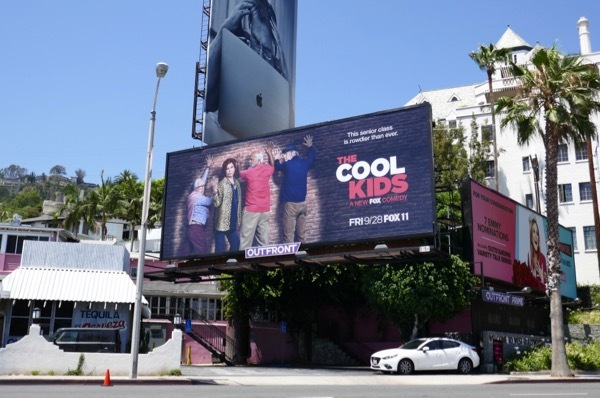 For more ad creatives featuring pixelated blurs be sure to check out this Inside Amy Schumer billboard and this Odd Mom Out billboard. 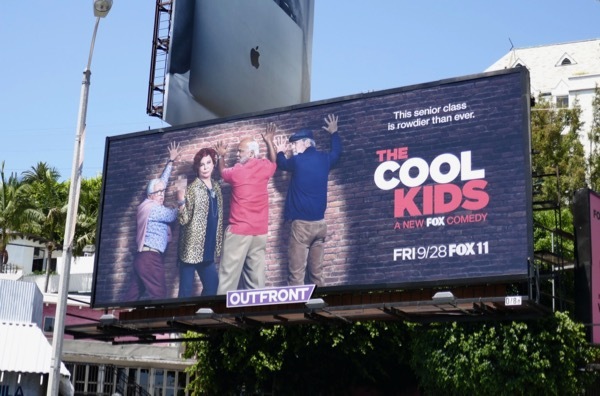 And remember, if you're hanging out with The Cool Kids this weekend, make sure you don't overdo it.